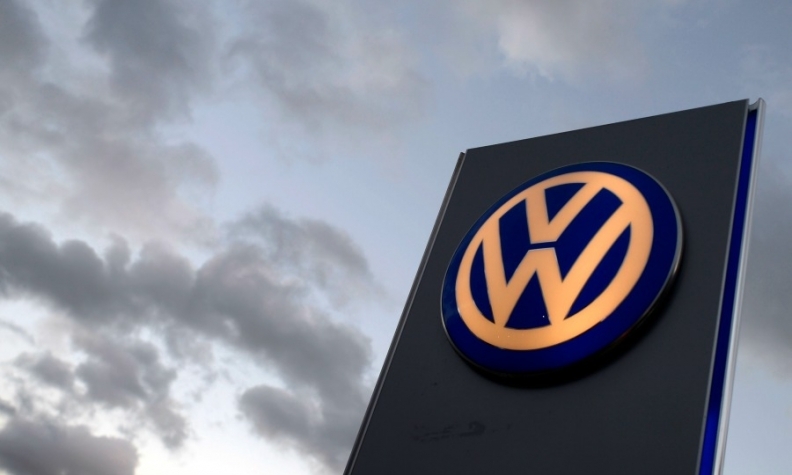 FRANKFURT (Bloomberg) -- Volkswagen Group said it has taken the first steps to entering Iran after the Islamic Republic's nuclear accord with the West pointed to an easing of economic sanctions that have prevented carmakers from doing business in the country. "We're monitoring the current development and are leading first talks on a political level," the company said. "There are no decisions or resolutions yet though. Possible further steps will be determined by future developments." Daimler also is doing some individual business transactions in the country, the maker of Mercedes-Benz cars said in an e-mail. German companies are eager to return to Iran, and Economy Minister Sigmar Gabriel is planning a visit on Sunday. If Germany’s exports there return to the pre-sanction levels of a decade ago, it could mean as much as an additional 4.5 billion euros ($4.9 billion) in revenue for the country’s companies, Deutsche Bank analysts said in a report Thursday. VW joins French automakers PSA/Peugeot-Citroen and Renault in considering car sales in Iran. PSA said on July 15 that it is in advanced talks over an Iranian carmaking venture with its local partner, Iran Khodro. The new venture would build cars from scratch using the automaker's latest vehicle architectures and engines. For VW, Europe's largest automaker, selling cars in Iran would help it grow outside mature markets such as Europe and North America and offset a cooling market in China. The company revived small-scale assembly of cars in Nigeria earlier this month in a bid to push sales in Africa and has been considering manufacturing vehicles in Southeast Asia. IHS Automotive said it will revise up its current forecast that Iranian light-vehicle sales will grow by 12.5 percent to 1.3 million units during 2015. "We now anticipate that there will be a surge in 'unofficial' imports into the country," it said. IHS expects the market to average around 1.7 million units a year in the long term. Among the beneficiaries are likely to be Chinese automakers, which already have a strong network of importers in Iran, IHS said. Other Asian manufacturers such as Hyundai, Kia, and Toyota also look set to benefit given their strong position in neighboring Gulf states, the forecaster said. IHS said production in Iran will grow at a moderate pace of between 18 percent and 20 percent this year, with output hitting 1.36 million units in 2017 and 1.47 million units by 2020.